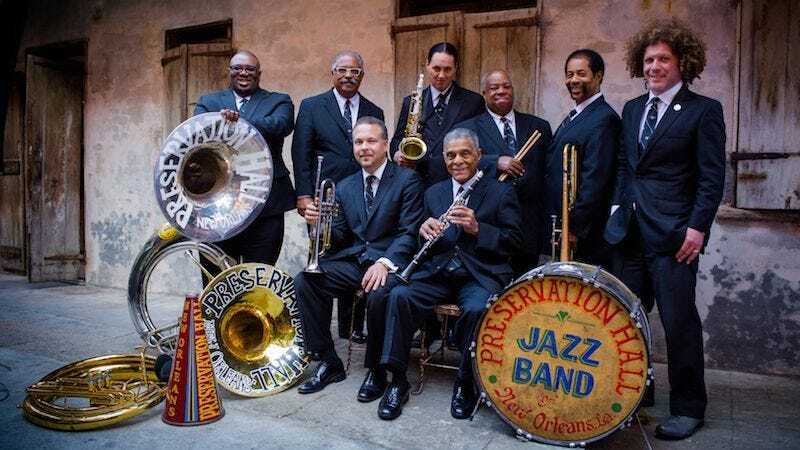 The Preservation Hall Jazz Band was founded over 50 years ago to promote traditional New Orleans jazz, and it’s done so admirably ever since. This summer, though, the group is set to release its first album ever of entirely new compositions. That’s It is out July 9 on Legacy Recordings and features production by Ben Jaffe and My Morning Jacket's Jim James. The A.V. Club has the premiere of the record’s title track, an exciting and propulsive song that absolutely swings. That’s It is available for pre-order now and the group is on tour all summer long.